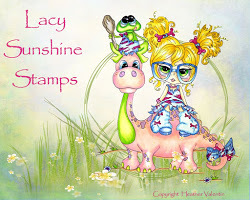 Time for another challenge over at Fab 'n' Funky Challenge Blog. Our challenge this week is probably an obvious one for this time of year! 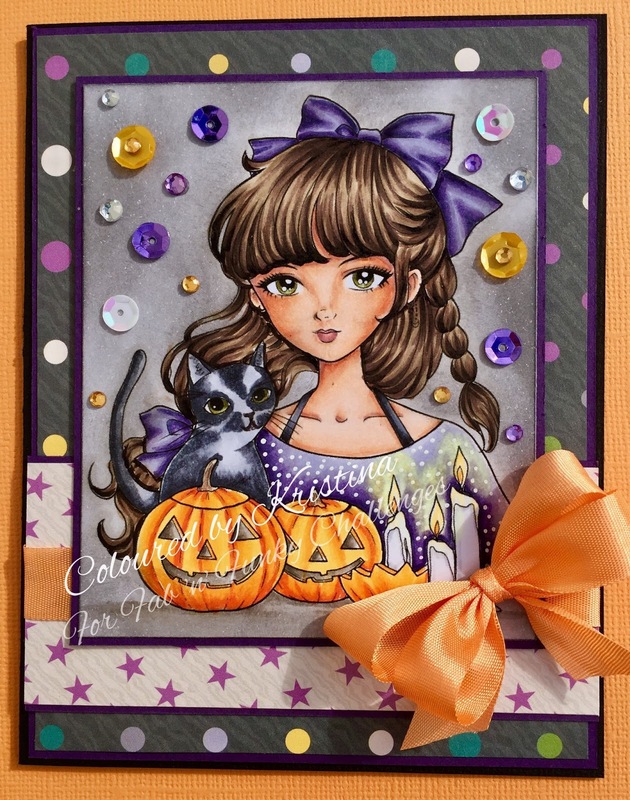 So we would love to see all of your Halloween Projects. 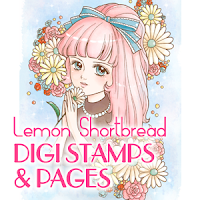 Our amazing sponsor this week is Lemon Shortbread who is offering 3 digi images to our winner. 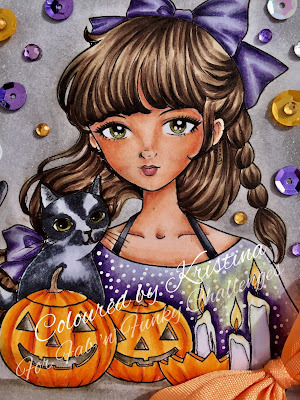 For my card this week I have used this gorgeous Halloween Image from Lemon Shortbread - Halloween Girl Black Cat. 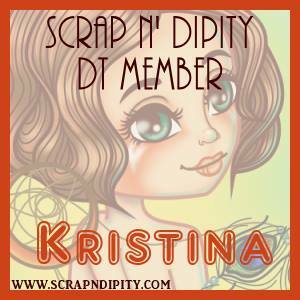 I really loved how this one turned out. Purple and Oragne are such great colours together. She is coloured with Copic markers and then teamed up with some Patterned papers from Couture Creations - Be Merry and Bright (yes I know - Christmas Paper!! But it works so well with this theme!). Here is a close up of the coloured image. 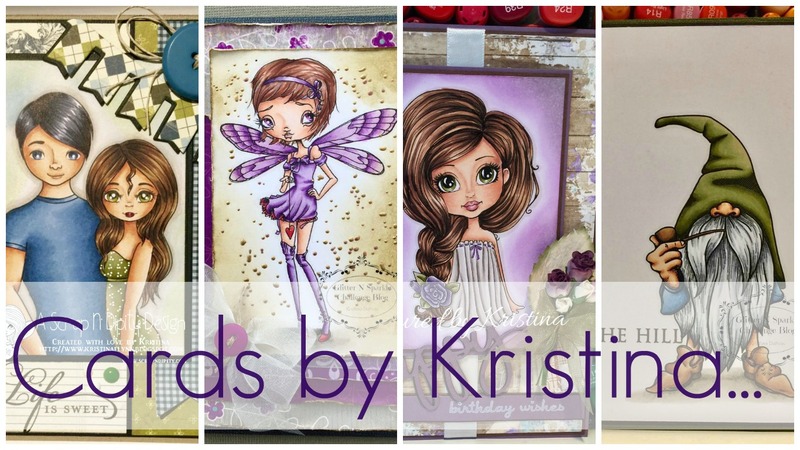 Your card is beautiful Kristina...great design and colours...and your colouring of this lovely image is superb!